Below are listed just a few examples of some of my work. I have an honors degree in new media and 6 years of experience in a studio environment. I am an expert in HTML/CSS and I'm pretty handy with Flash/AS3 too. I'm on the lookout for some freelance work so if you like what you see my e-mail address is up top. 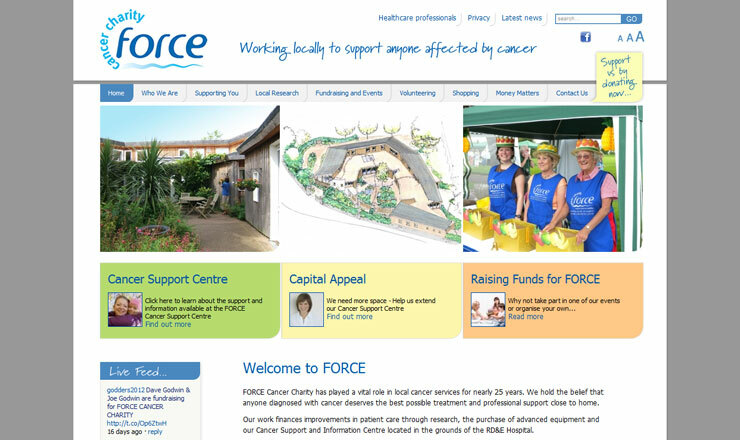 The FORCE Cancer Charity in exeter required a new website to allow for better access to their wealth of information for cancer patients and interested parties. The site was built using robust code that was fully teted in everything from Internet Explorer 6 to the latest version of Chrome. The HTML and CSS is fully standards compliant, and there is also some use of jQuery in the main menu. 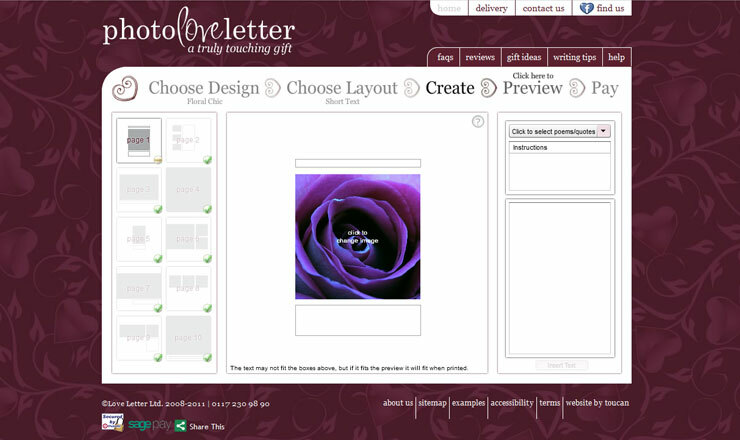 *This site was built during my time at Toucan and remains the property of Toucan Design. 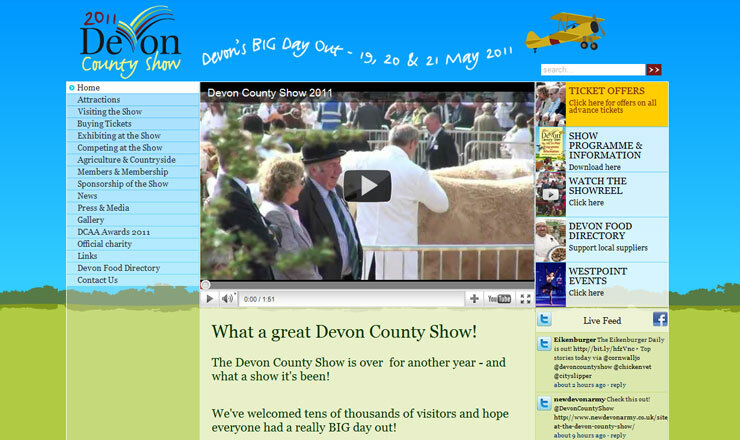 The Devon County Show Association were in need of a refreshed website with a more comprehensive and easier to use CMS. They also required an advanced gallery system to make it easier to search through the many images they have. My main contribution to this site was to ensure it worked in all browsers and to build and implement a caching system in PHP. Due to the high volume of visitors the site gets the server was starting to get overloaded. I designed and implemented a system whereby once one visitor has viewed a page, a cached version is stored on the server which is served to all further visitor. This means very little PHP processing needs to be done, taking the load off the server and speeding up the site. A startup business required a Flash application that would allow customers to add their own words and images to a photo album. This would them be saved as a PDF and be printed by a professional printers. The creator was built using Flash/Actionscript 3 and integrates with a custom CMS and SagePay payment system. All information is sent to and from the application in an XML format. The PDFs are created via a custom PHP script that reads in the XML output from the Flash and creates the documents from that. 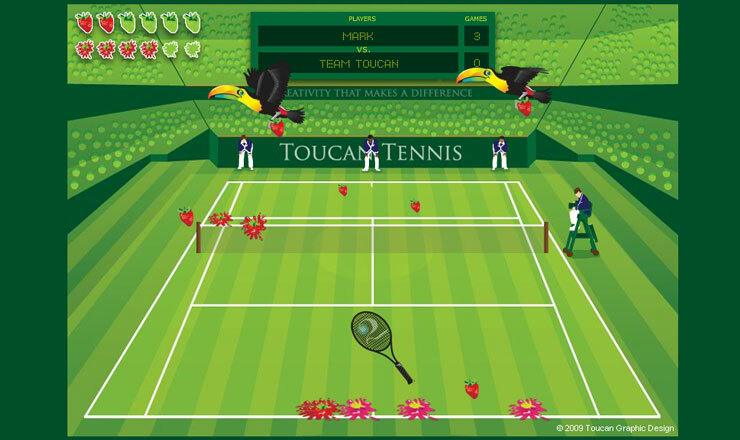 As a piece of promotional material I was asked to produce a Wimbledon themed game that could be linked to via an e-shot. The game was built using Flash/Actionscript 3, it has custom sounds and graphics (other than the music, you might recognise that) and a custom physics engine that could be tweaked to allow for the best possible gameplay. There are multiple levels and the speed and frequency of drops for each level are customisable via an XML file. *This game was built during my time at Toucan and remains the property of Toucan Design. A long established tourist attraction required an eye catching site to improve their business. 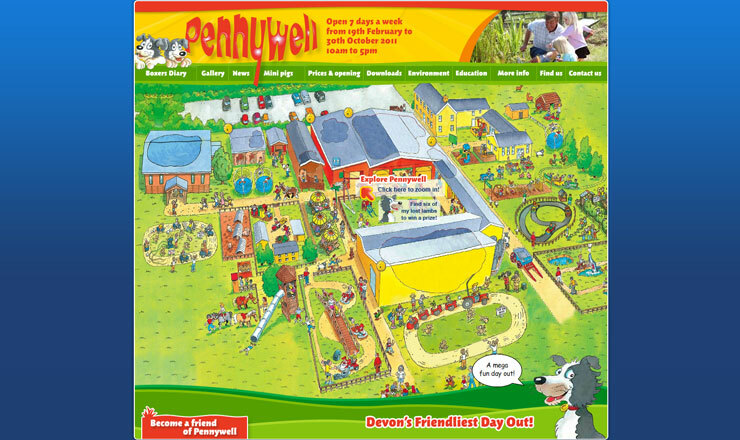 They wanted something fun and memorable so along with building pages and elements throughout the rest of the site I was tasked with turning the map from their leaflet into an interactive experience. It was built using Flash again as it is the best tool for the job, and is a highly detailed and informative piece of work. Clicking on an area of the map brings up a CMS managed image gallery and infomation about that area of the farm. 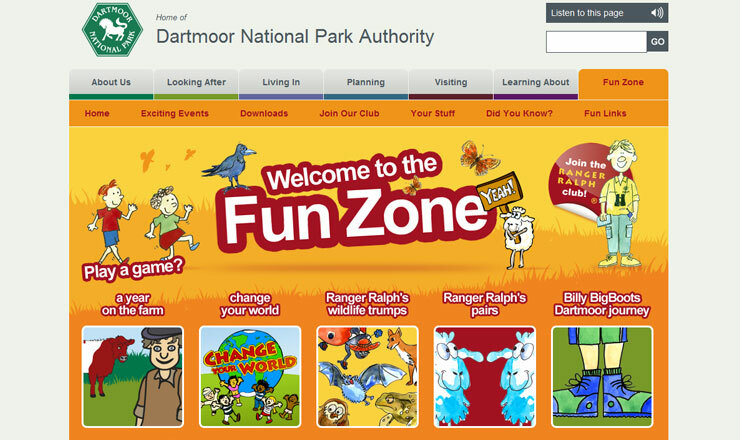 In order to raise awareness among and educate a young audience, the Dartmoor NPA commissioned a series of games, the initial three were a "Top Trumps" style game, a pairs game and a platformer. After these recieved such a good reception they came back for two more, a point-and-click game about climate change and a multi-disciplined game about farming on dartmoor. All of the games were built in Flash with custom graphics and sound and have been very well recieved by the public. The change your wold game was taken all over the south west as part of a travelling exhibition.